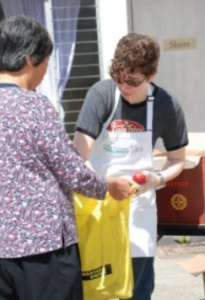 We distribute free groceries to about 300 families every Saturday, 10 AM – 1 PM. 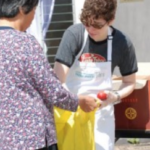 Our volunteers help to set up the tables and food, distribute the groceries, manage the client line, break down boxes, and clean up after the grocery distribution. There are also leadership opportunities for volunteers (including teens) who would like to make a long-term commitment. SKILLS REQUIRED: None, although being able to speak Cantonese is very helpful (but not at all necessary). WHEN: We are open every Saturday, rain or shine, including holidays. The time commitment is 10 AM – 1 PM.